Page created: 9-May-2008, updated 29-May-2008, 4-Jun-2008, 5-Jun-2008, 7-Jun-2008, 10-Jun-2008, 13-Jun-2008, 15-Jun-2008, 17-Jun-2008, 18-Jun-2008, 20-Jun-2008, 24-Jun-2008, 27-Jun-2008, 1-Jul-2008, 4-Jul-2008, 11-Jul-2008, 16-Jul-2008, 22-Jul-2008, 29-Jul-2008, 31-Jul-2008, 11-Aug-2008, 19-Aug-2008, 2-Sep-2008. The B08 HFCC/ASBU Conference was held in Moscow from 25 to 29 August 2008. Photos have been linked from the Private and Global restricted areas. This is to warn the members that due to special Russian visa procedures and a great demand on hotel space in Moscow, starting from today (July 31st 2008) the B08 Moscow Conference Team ARE UNABLE to guarantee any late legalization of appropriate documents as well as the availability of the hotels for the participants of the B08 Conference. 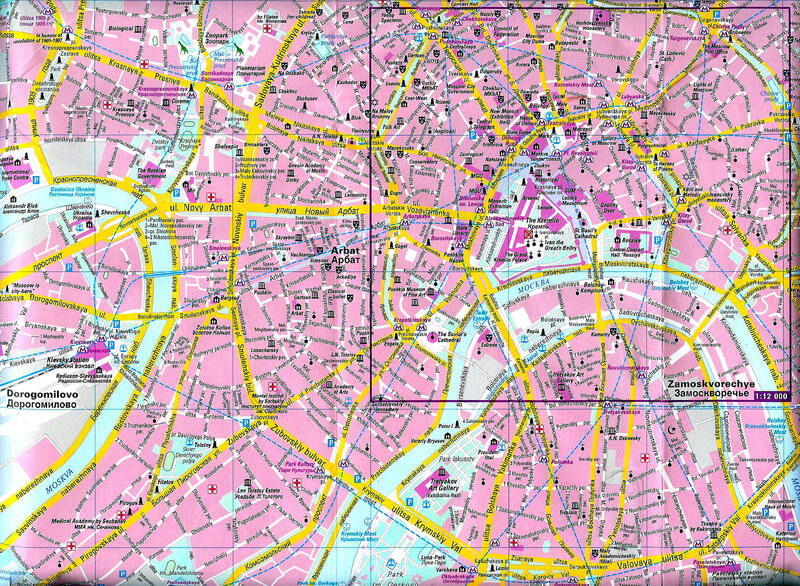 Scan of a map of Moscow Ciy received from Milan Prezelj. The B08 Venue Radisson Slavyanskaya is near Kiew Station / Dorogomilovo, 3,5 km west of Kremlin.